Today we bring you a quite recent mod that is interesting for Resident Evil lovers. The Resident Evil 1.7.2 and 1.6.2 add to our Minecraft worlds, thirteen mobs that all those who have played Resident Evil game will know, although they are a bit squared now. But the mod, not only adds mobs, adds armor and also adds new weapons that we can use as a machete, axes to fight, a gallows, kitchen knife, combat knife, they will all have the same damage of an iron weapon. But we still have a new weapon, a chainsaw, that we craft by parts and will cause damage almost like a diamond weapon. Of course this mod hasn’t forget to add the familiar herbs, green, yellow that will restore our health. How to install The Resident Evil Mod for Minecraft 1.7.2 and 1.6.2? 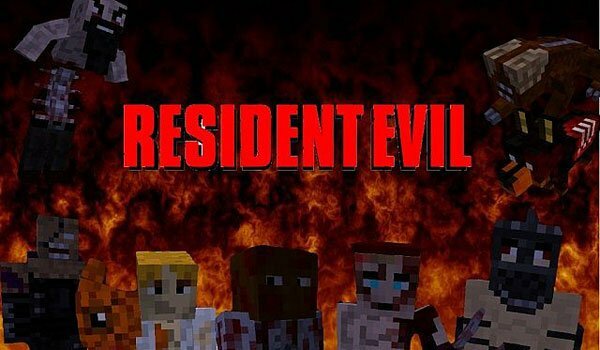 Resident Evil comes to Minecraft!